Whether you are looking for a getaway spot for the holidays or planning for next year’s vacation, it’s always nice to include your fur-kids in on the fun! The following dog friendly holiday homes can be rented for a family vacation or a holiday adventure. Better yet, they're located all over the country, so you're sure to find one in the state you'd like to visit. If you're planning to take your pet with you on any trips – near or far – there are a number of things you have to think about. Of course, you need to find dog friendly holiday homes. You're also going to need to pack extra supplies, make sure you have the necessary supplies to keep your dog safe (leash, harness, crate, etc…) and lock down a safe mode of transportation. It's important that you do some research before taking your dog away from home on any adventures. Research the area that you're going to, the dog friendly holiday homes you'll be attending, and the mode of transportation you'll be taking. Learn as much as you can to ensure that you can keep your pet safe while on your adventure. Extras: Hot tub, optional housekeeper, and kayak. Extras: Optional housekeeper, highchair, and hot tub. Extras: Private pool, hot tub, and bicycles. Extras: Private pool, hot tub, stroller, pack and play, and highchair. Extras: Optional housekeeper, private pool, and hot tub. Extras: Foosball table and ping-pong table. Extras: Highchair, sandbox, and hot tub. When booking a dog friendly holiday homes cottage or holiday home for your next getaway, always make sure to read the small print! 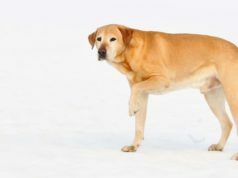 Some homes come with breed, size, or number of dog restrictions, others only accept dogs at a certain time of year, and some require an additional deposit. Make sure you know what you are getting into before you sign on that dotted line!